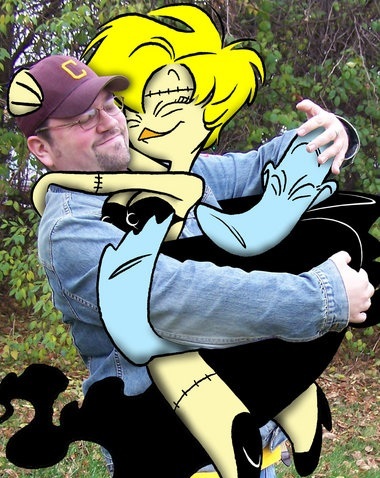 Cartoonist, illustrator, writer and letterer Jay P. Fosgitt was born in October of 1974. 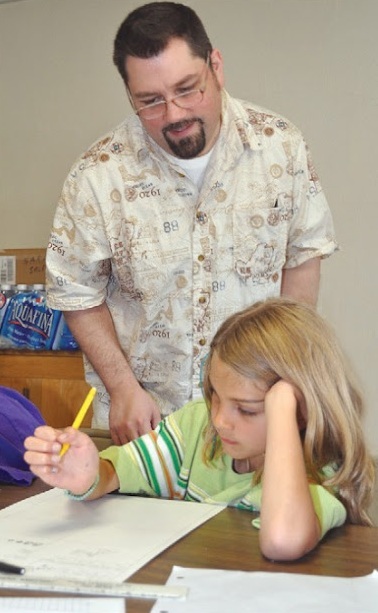 He earned an Associate’s Degree from Delta College and then graduated from Central Michigan College in 2004 with a Bachelor’s Degree in Applied Arts. During his college years he created, wrote and drew comic strips and editorial cartoons for the school’s newspapers. 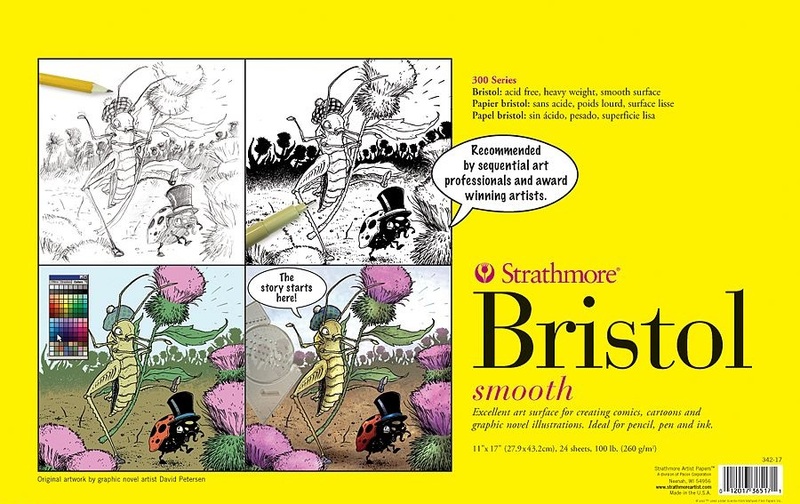 He was also the staff cartoonist and contributed numerous story illustrations as well. 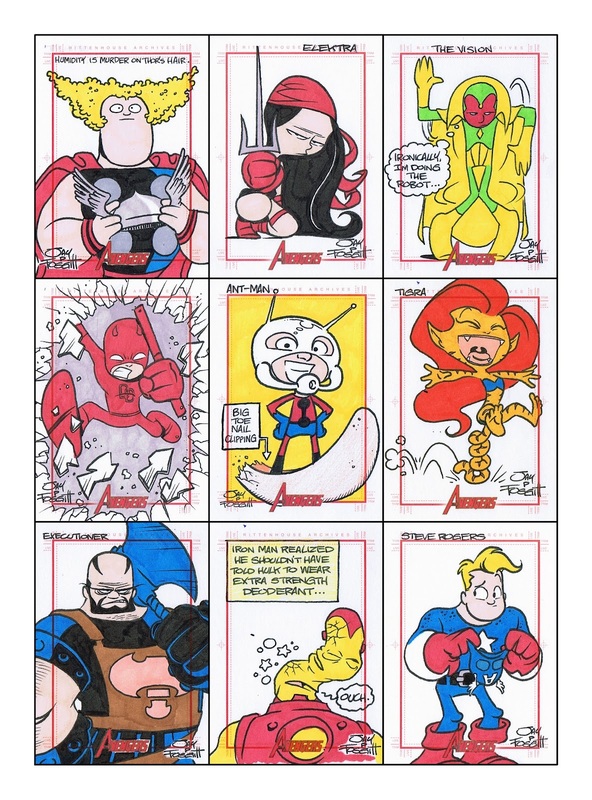 Working professionally for over 20 years, Jay has created artwork for a number of different sketch card series. 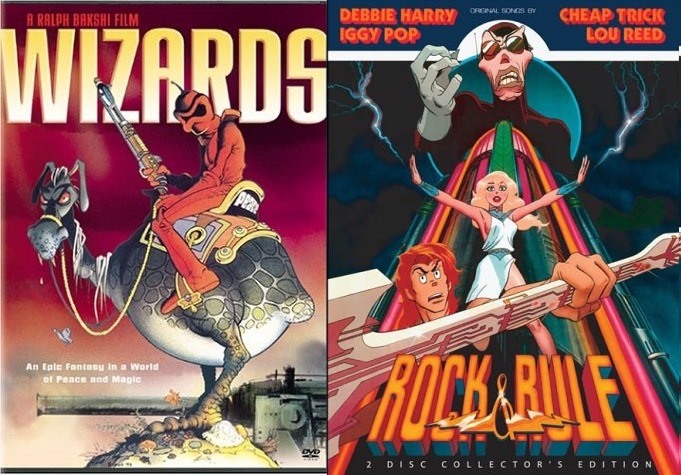 Some of these series include Star Wars Galaxy 5 for Topps Entertainment, Marvel: Dangerous Divas and Marvel Universe 2011 for Rittenhouse Archives, Archie, Sabrina the Teenage Witch and Hack/Slash for 5finity Productions and classic cartoon characters such as Mighty Mouse, Felix the Cat and Betty Boop for Breygent Marketing. He has also been the writer, artist, colorist and letterer on Ape Entertainment’s all-ages comic Little Green Men for over two years. 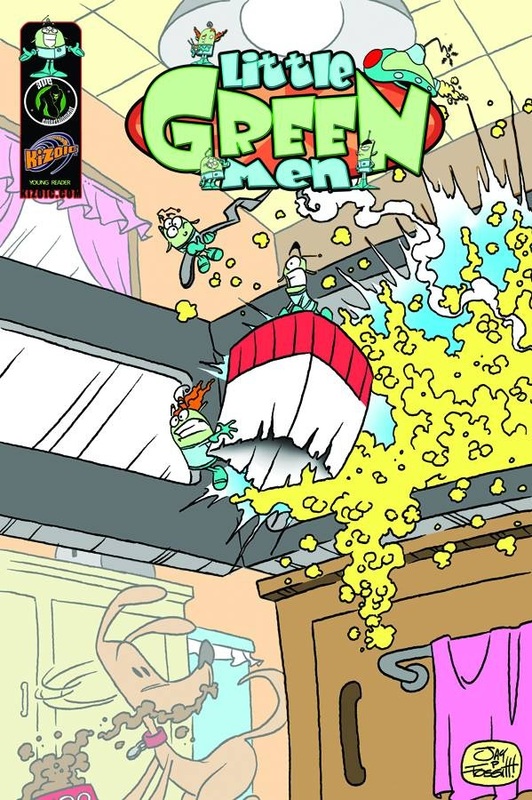 Created by Brent Erwin and David Hedgecock, Little Green Men follows the exploits of three tiny aliens, Moke, Lartee and Gerlex, who have been sent to Earth by their queen to conquer Earth. 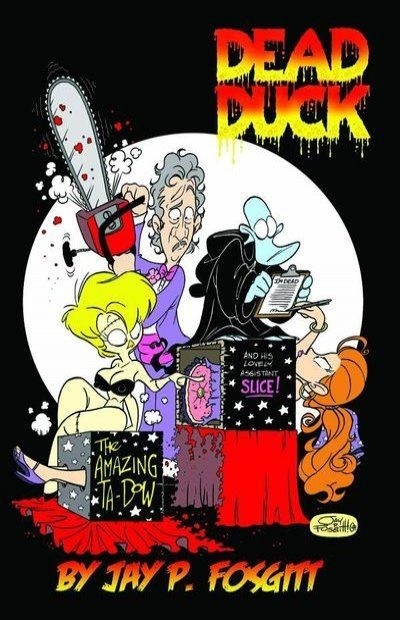 Jay’s creator-owned Dead Duck comic, previously released as a graphic novel through Ape Entertainment in 2009, is about a minion of the Grim Reaper called Dead Duck who along with his sidekick Zombie Chick has been tasked to deliver the dead. Dead Duck has been running as a web comic with postings every Monday and Thursday since October of 2011. One of the many things that I enjoy about Dead Duck is that most of the titles for the stories are parodies. 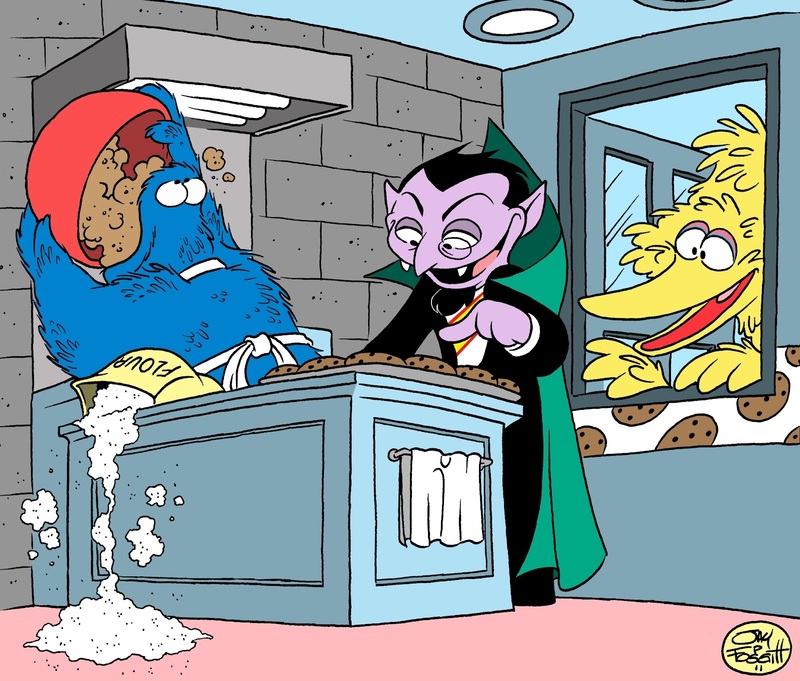 They parody titles such as “The Soul Taker’s Apprentice”, “Dead Duck Rising” and “All Along the Lunch Counter” that harken back to the parody titles that were used in the “Rocky and Bullwinkle” cartoons. Necronomicomics is another of Jay’s creations. This single panel cartoon lampoons classic horror films and runs monthly in Rue Morgue Magazine. He is also working on his creator-owned comic Bodie Troll and Ape Entertainment’s Dino Duck and Old McMonster’s Haunted Farm. 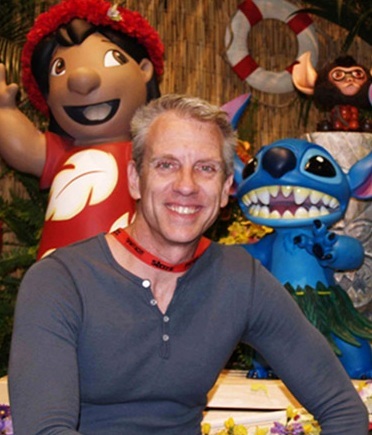 As if Jay isn’t busy enough, he also does commissions, party caricaturing, speaking engagements, commercial art and has been contributing artwork to DreamWorks’s Animation Magazine. A member of The National Cartoonists Society, Jay lives in Ann Arbor, Michigan with his wife Laura and their cat Goonie. 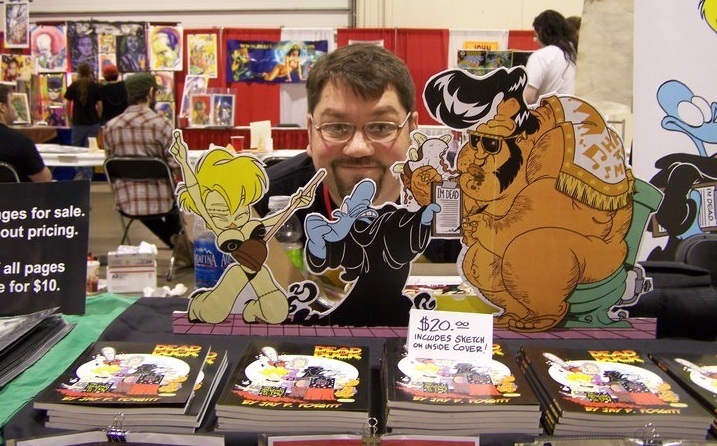 To learn more about him and to read all of the Dead Duck strips, visit his website here. You should also check out his blog and deviantART page. And you can follow him on Facebook and Twitter. Faber Castell Pitt pens, preferably the "F". Almost all of my professional comic book and sketch card work has been drawn with these pens. Yes, I draw in pencil before inking. I generally prefer to draw with mechanical pencils to forgo the hassle of pencil sharpeners. Any mechanical pencil with a soft lead (better for erasing) will do. I color my sketch cards using a mix of Prismacolor markers and Sharpie markers. 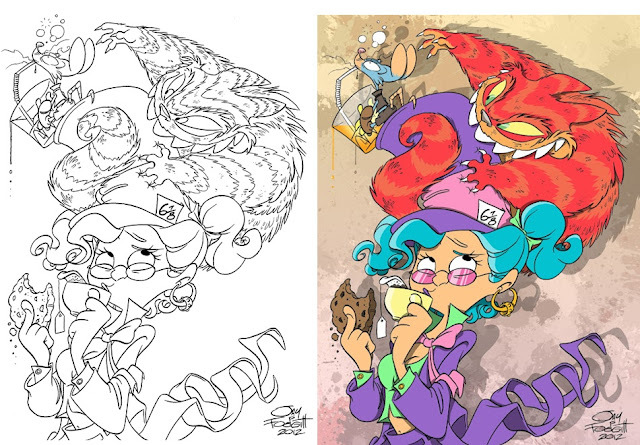 But for my comic book work, I color digitally using Photoshop. Mostly Prismacolor markers and Sharpie markers, though on occasion I'll use Prismacolor pencils. I started using those in college, and even though they don't translate much to the work I do these days, I have a real fondness and nostalgia for them. I draw my comic book work on 11X17 Strathmore smooth bristol board. For most other illustration assignments I draw on smooth 9X12 Canson bristol board. Automobiles and machinery. They're so specific and unforgiving in their dimensions and shapes, and don't jive well with my cartoon aesthetic. A mix of both. I get online coupons for Michael's arts and crafts and will pick up pads of paper there when they're in stock, and sometimes Hobby Lobby for Faber Castell pens. But I've been using a lot of Japanese brush pens lately that you can't find in stores near me. I order those through Jetpens.com. I try to get an hour-long walk in before starting the day. It usually clears my head, and sometimes produces some good ideas for future projects. Once I'm in the studio, I'll usually pop in a movie for inspiration, or put on a 70's themed radio station. Movies always inspire me, and music can really send me somewhere special if it connects just right, which will translate into the work I'm drawing. There are a few eras of music I prefer. 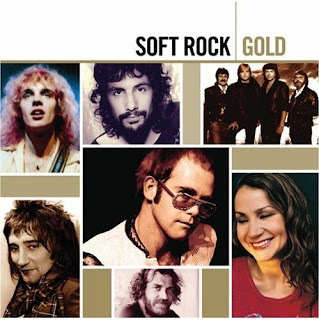 Lately I've been loving 70's soft rock, the stuff I grew up with. I enjoy a lot of Broadway musical soundtracks, having grown up with those too. When I was very little, I was all about comic strips--Peanuts, BC, Hagar The Horrible. I also read "kiddie" comics like Richie Rich, Archie and Little Lulu. 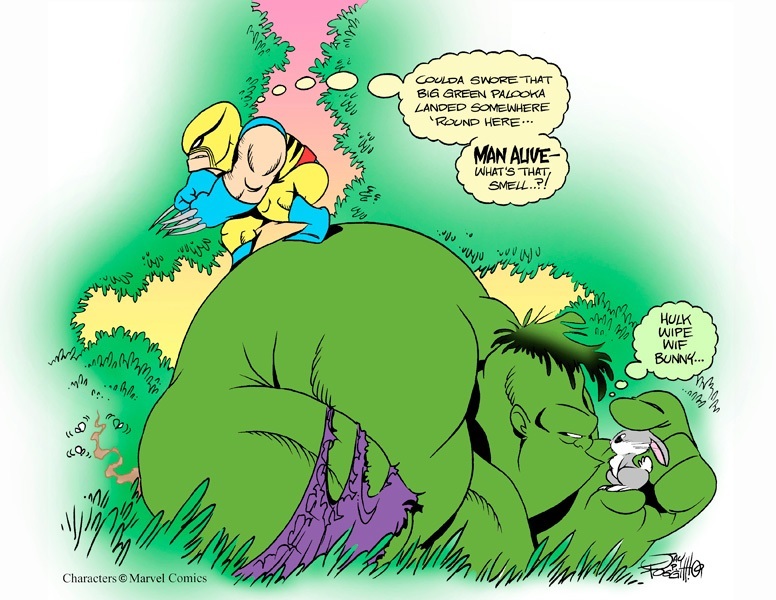 When I was in my pre-teens I got much more into comic books--X-Men, Spider-Man, Hulk, and some more obscure stuff like 'Mazing Man, Boris the Bear, and Flaming Carrot. Comic strips still influenced me at this time too, such as Calvin and Hobbes, Bloom County, Far Side and Fox Trot. Peanuts will probably be my favorite for all time. Though admittedly, it was Bill Melendez's brilliant direction of those TV specials and movies that made me love the world of Peanuts even more than Schulz's comics. 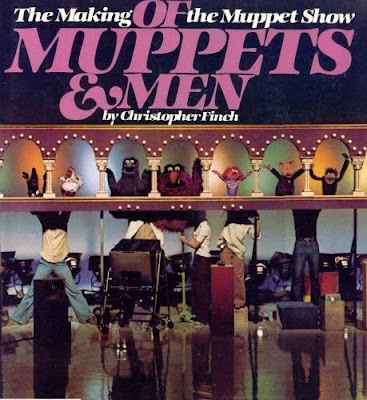 "Of Muppets and Men", a behind the scenes look at the making of The Muppet Show. I got a copy of it when I was ten, and it was my Holy Grail. It only heightened my already enormous fandom of Jim Henson and his creations. And yes, I still own it. I had the typically disposable elementary school art sessions (they were hardly classes) that taught me nothing. 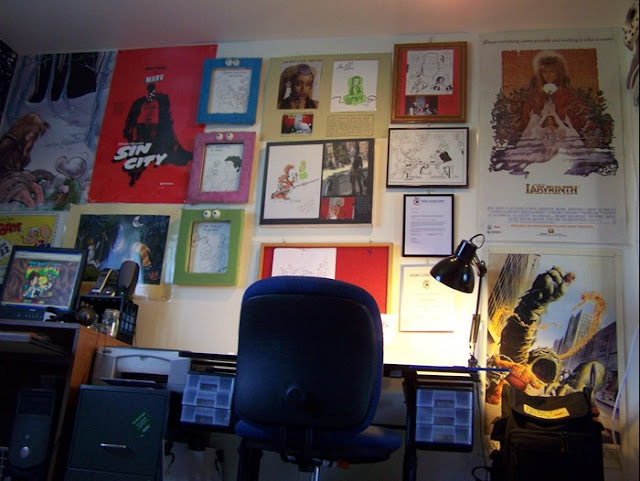 In middle school, a student teacher taught me portraiture and still life drawing, and even though I've always been a cartoonist, it was the best art education I had up to that point, and changed my art forever. I had some terrific art courses in college that taught me a lot about color, composition, and above all else, painting. These also played into my eventual career in cartooning. The best education I had for my art was working on my college newspaper as the staff cartoonist. I learned discipline, the mechanics of newspaper production, how to meet a deadline, and how to build a readership. A blessing, totally. It's allowed me to find work, make friends and professional contacts and to reach people that I otherwise might not have been able to. My career owes as much to the Internet as it does my skill and drive. No. I was adopted into a loving yet non-artistic family, and I was left to influence my own creativity and skill. My folks were wise to put me in the corner with a pile of paper and a pen and just let me discover my art for hours of my childhood. That was as influential as they were, or as I needed them to be. My entire family has always encouraged my cartooning ambitions. Even today, at age 37, my mom still gets giddy when the local news does a little write up on me. To her, I'm a big success, and that means so much to me. My grandmother used to bring me stacks of old perforated computer paper and mechanical pencils from the phone company where she worked as a cleaning lady. She knew from the beginning what I loved to do, and always encouraged me, and still does today. Between her, my mom and my wife, I couldn't ask for a better support base. I keep several, always hardcover. I have a small one for spontaneous sketches and ideas, and a big one for more elaborate designs. Yes, I've taught classes from time to time, mostly short workshops for grad school-aged kids. Working with the kids is always a nice experience, but teaching full time isn't really for me. It sounds selfish, but I'd rather be producing my own art than teaching future generations to produce their own. The world doesn't need another depressed art teacher who wishes he'd followed his passion. You need both in equal doses. You can be as passionate as all get out, but if you can't produce appealing, professional work, it's not going to get your foot in the door. I suppose being passionate enough to get better is the way to go in that case. 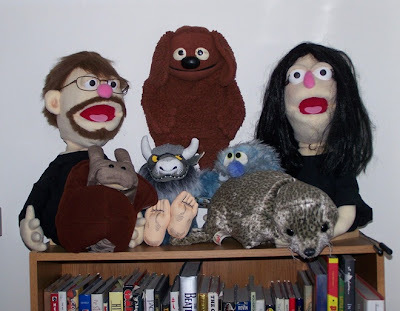 I collect books and puppets. I'm a voracious reader of comics, novels and magazines alike. And as a lifelong Jim Henson fan who once aspired to work for the Muppets, I constantly add new puppets to my collection. 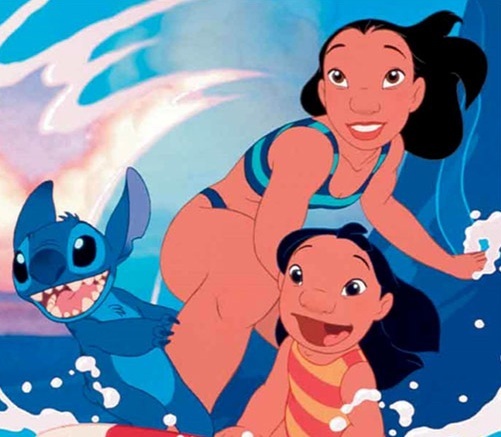 Stitch (from Lilo and Stitch). He's a short, obnoxious monster with a big heart. That's me to a T.
Lefty for drawing, righty for almost everything else. Puppeteer, or perhaps working as a makeup and creature effects artist in the movies. Of course, I pick two professions that CG effects have been trying to muscle out for the past couple decades. Cozy, cluttered, practical, whimsical, and filled with things that inspire me and make me smile. No, but I admire those who can. I always wanted to learn piano, drums and guitar. Heck, I'd settle for harmonica if I could swing it. Don't ever give up, no matter the odds. Not good enough? Get better. Can't get the attention of publishers and editors? Keep bugging them until they respond. Just like the Muppets said, keep believing, keep pretending...just keep on keeping on until the dream is realized. I've been enamored with the work of animator Chris Sanders for years now. 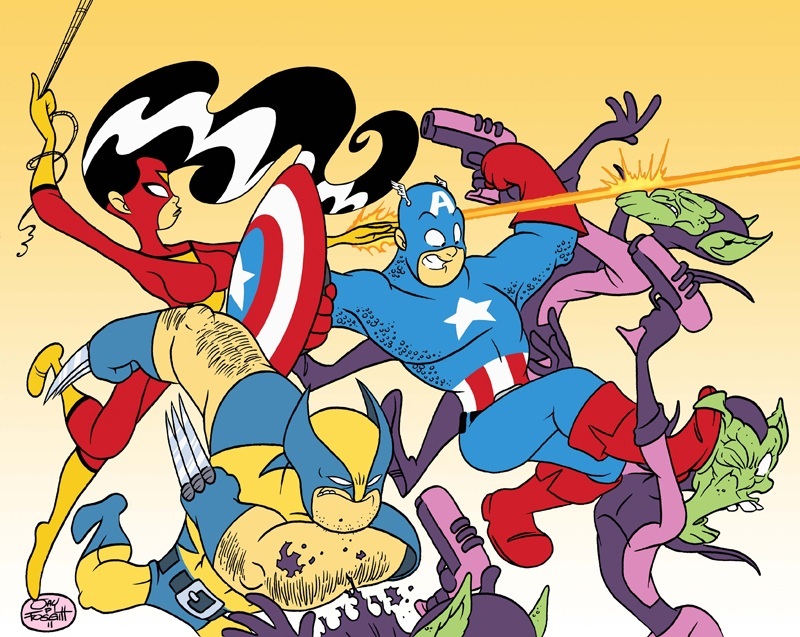 His incredible line work continues to inspire me. Thank you again Jay for taking the time to participate!